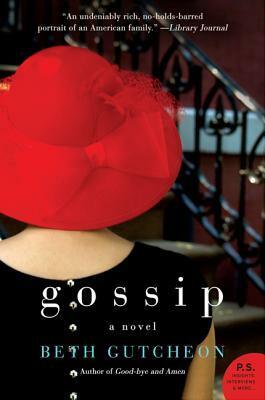 Goodreads: Loviah “Lovie” French owns a small, high-end dress shop on Manhattan’s Upper East Side. Renowned for her taste, charm, and discretion, Lovie is the one to whom certain women turn when they need “just the thing” for key life events: baptisms and balls, weddings and funerals. Among those who depend on Lovie’s sage advice are her two best friends since boarding school days: Dinah Wainwright and Avis Metcalf. Despite the love they share for their mutual friend, there has always been a chilly gulf between Dinah and Avis, the result of a perceived slight from decades ago that has unimaginably tragic echoes many years later. Kritters Thoughts: Set in New York, three friends who met in boarding school find each other again and cross paths in many different ways through the years. With husbands, lovers and children making appearances, the cast of characters was huge and came in and out of the story. Lovie is the main character and I loved her growth from an outsider in boarding school to the one who heard all of the gossip in New York, I didn't love her friends as much as I loved her. I think my biggest issue with the book was the often jump in time within the chapter and the quick introduction of characters. I had a difficult time determining at what point in history the women were at and there were a few times where I didn't think something fit quite right. The cast of characters was huge and some I thought were big players dropped off and some I couldn't keep track of. Readers who love New York with a passion and enjoy female friendships may want to try this one, but it was definitely not the easiest of reads.